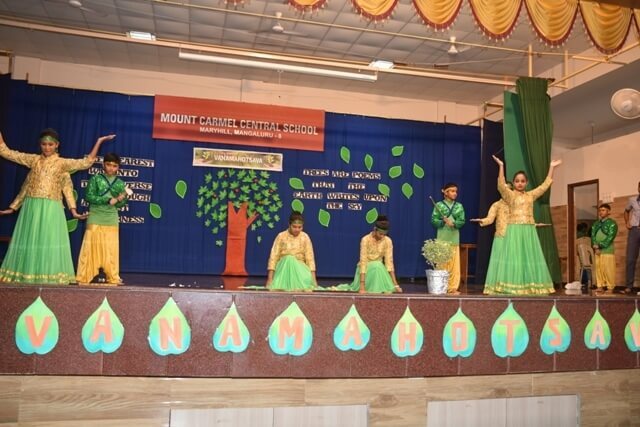 VANAMAHOTSAVA is the Festival of Forests. 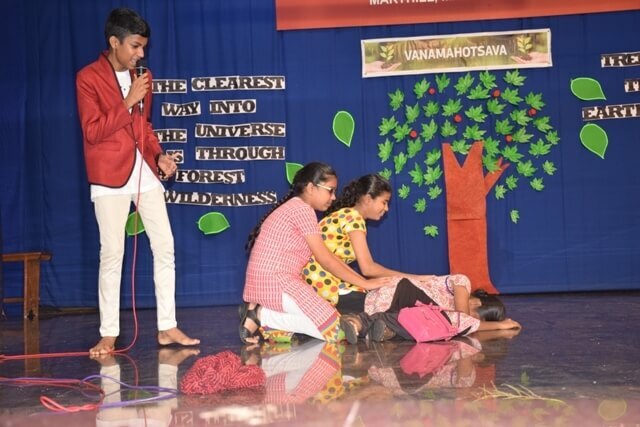 The constant felling of trees in India has been a problem for a long time, and Vanamahotsava is important in creating awareness of this issue. 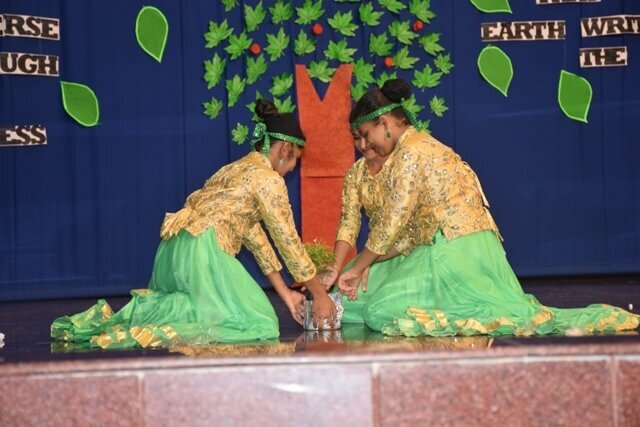 This awareness spread as the Chipko movement rose in popularity as a crusade to save the Mother Earth. 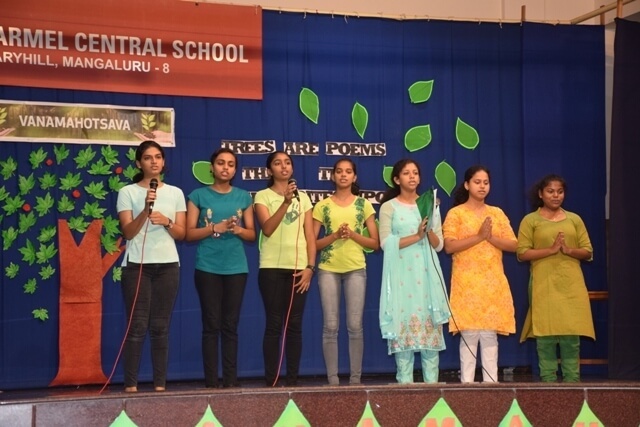 We celebrated Vanamahotsava on July 20th 2018 at the school Auditorium. 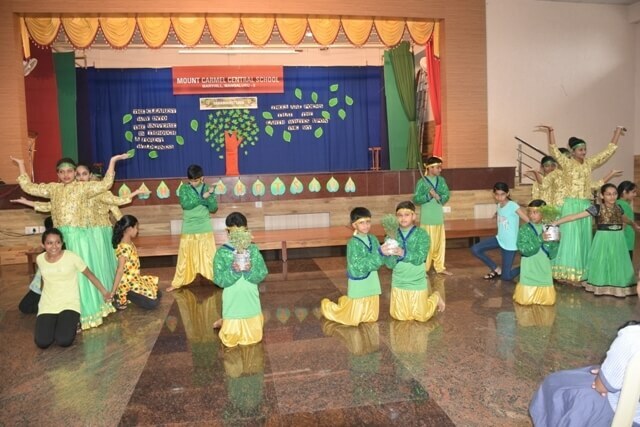 The members of the Eco Club began the programme by invoking God’s blessing. 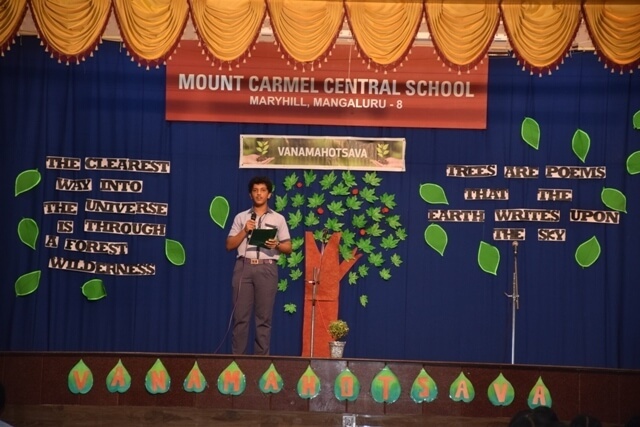 Leon Menezes of Class X welcomed the gathering. 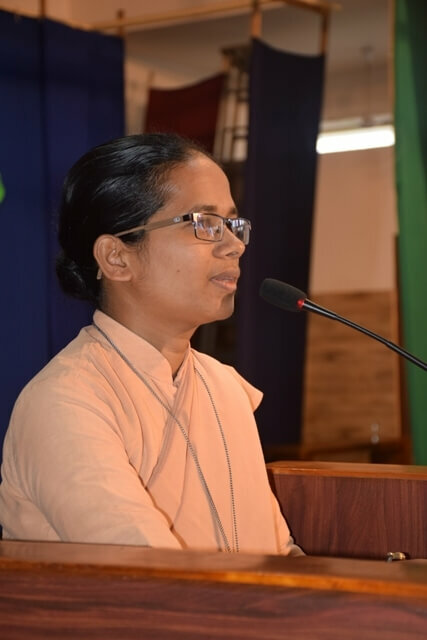 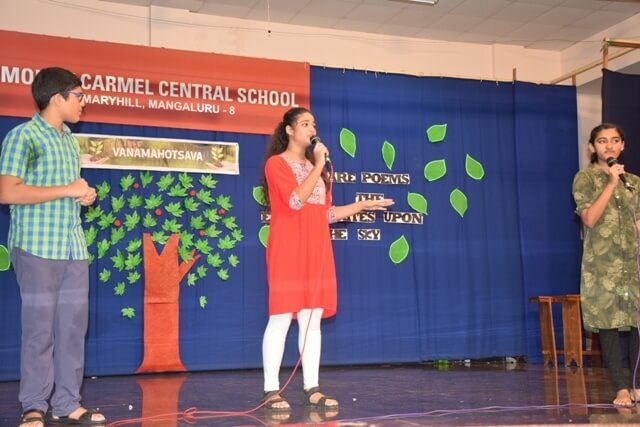 Faye Carmel Rodriguess of Class VII enlightened the gathering on the significance of Vanamahotsava. 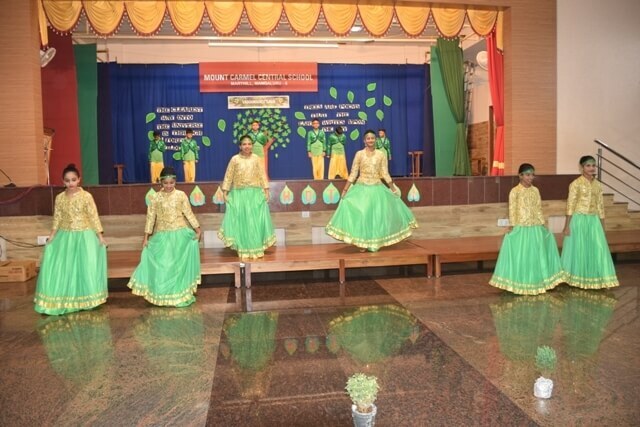 The Cultural Programme consisting of dance, song and a skit communicated environmental messages. 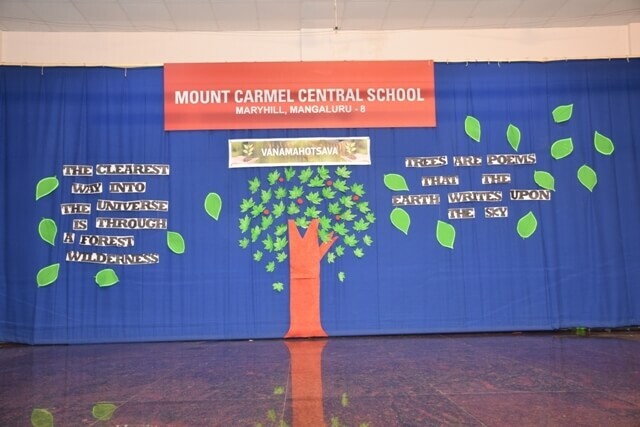 This helped to instil significant environmental consciousness amongst all the students. 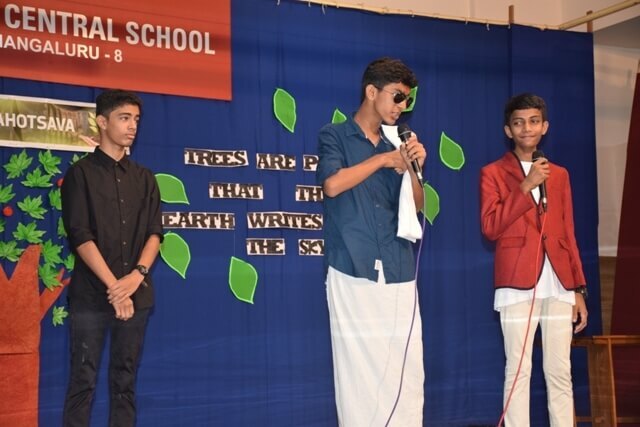 It was indeed an Environmental Conscious on day at our School. 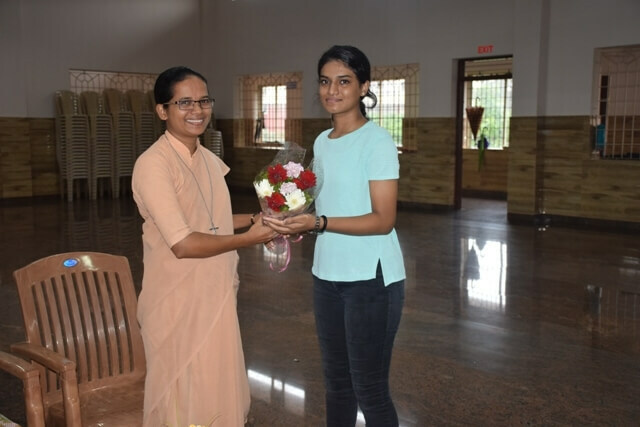 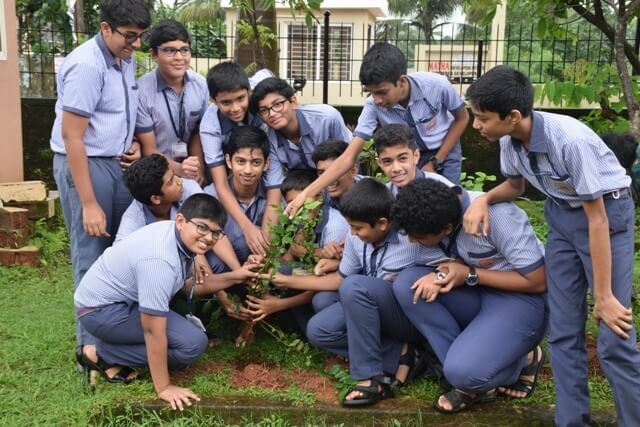 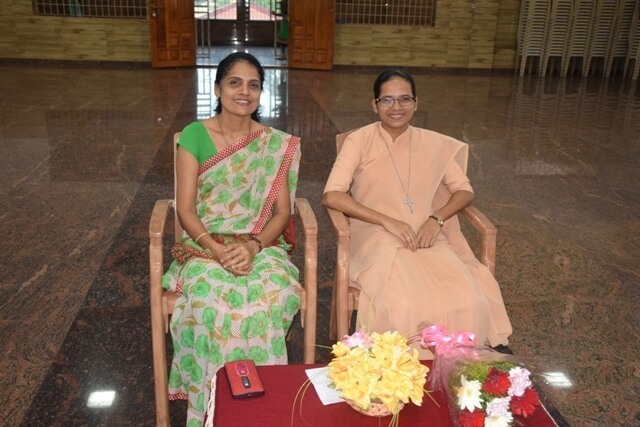 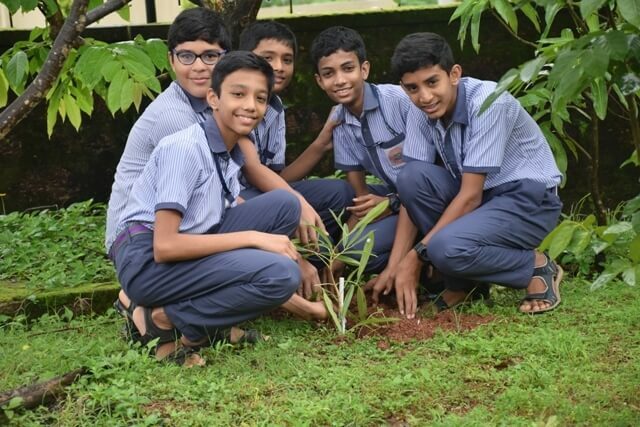 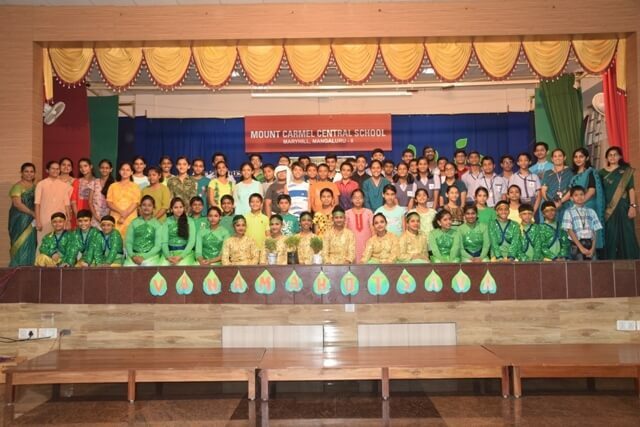 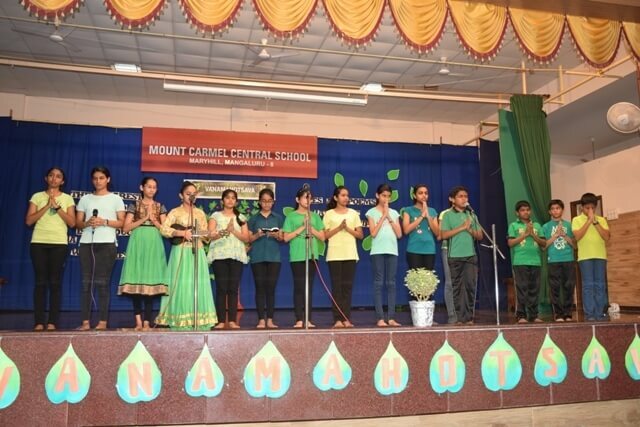 The programme concluded with the vote of thanks proposed by Pradhyuth of Class VI, followed by the planting of a few saplings around the school premises by Principal Sr. Melissa A.C., Chief Guest Sr. Lidwyn A.C., the Eco Club coordinators Mrs. Sylvia Benis, Mrs. Neema A, Mrs. Lavita D’Souza and Mrs. Sushma Pearl along with the members of the Eco Club. 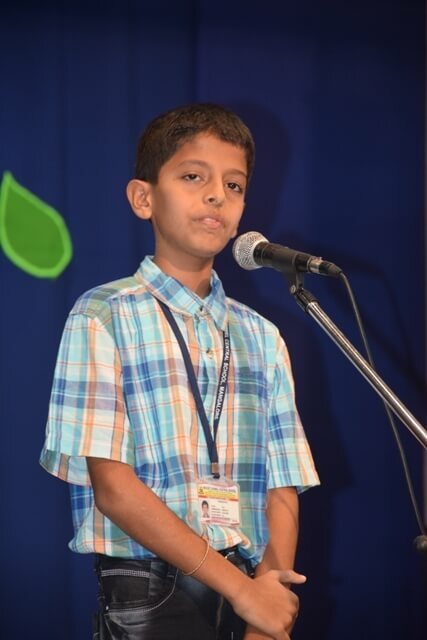 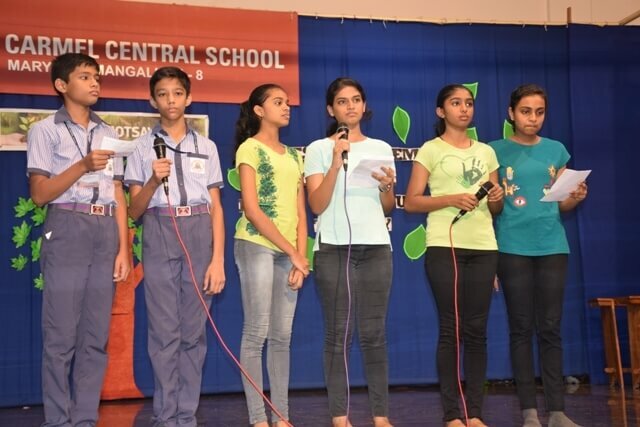 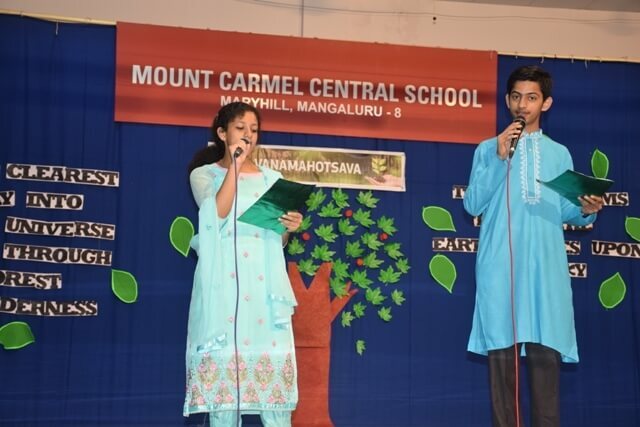 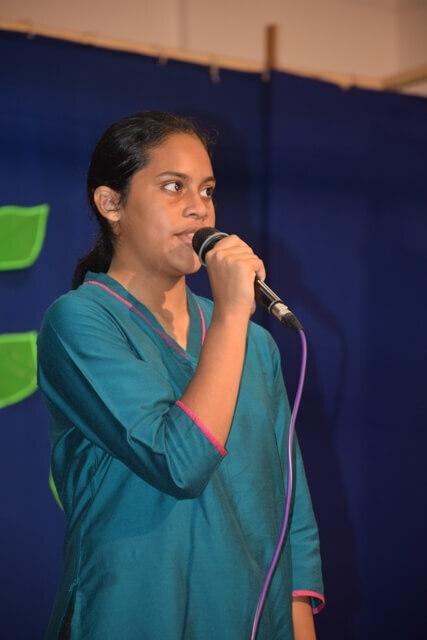 The program was compeered by Rahul Madtha of class IX and Jeevika of Class X.